Will Russia’s ambitious naval plans in the Pacific bear fruit this year? In the last two years, Russia’s second-biggest fleet, the Pacific Fleet, has been receiving new ships for the first time since the collapse of the Soviet Union. In 2013 the fleet obtained a new Borei-class nuclear-powered ballistic missile submarines (SSBN), and is expecting five more over the next decade. The fleet has furthermore received one Dyugon-class landing craft in 2014. This modernization campaign is part of an ambitious naval re-armament program over the next 20 years. 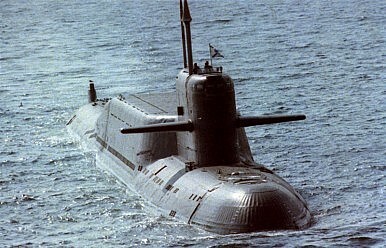 Another Borei-class SSBN, the Vladimir Monomakh, is expected to enter the service of the Pacific Fleet this year. Its sister ship, the Borei-class SSBN Alexander Nevsky, recently conducted a successful single test-launch of the Bulava inter-continental ballistic missile in the Kamchatka Peninsula. The Pacific Fleet is also expecting two Steregushchy-class corvettes, multipurpose ships for littoral zone operations, in 2015. The first of six Yasen-class multi-purpose attack nuclear submarines (SSGN) projected to enter service in the Far East over the next ten years will join the Pacific Fleet in 2017 at the earliest. Also, the Russian Navy just initiated a modernization program of its Oscar-class SSGNs, five of which are part of the Far Eastern Fleet. Details on the Oscar-class upgrades, which are supposed to expand the subs’ lifespan for another 15-20 years, are murky and it is unclear when the subs stationed in the Pacific are scheduled for the overhaul. After a ten year construction period, the first Ivan Gren amphibious ship will also enter service in 2015 and, in all likelihood, be assigned to the Pacific Fleet. Strategic deterrence remains the chief task of the navy. Consequently, Moscow’s major emphasis in the short term is the modernization of its aging submarine fleet in the Pacific. Coastal defense is the navy’s second most important mission set and Russia has embarked on the construction of a number of smaller but surface combat ships (e.g., the Steregushchy-class corvette) capable of executing access denial strategies. The navy’s other two major tasks, out-of-area deployments and the protection of sea-lanes (e.g., the Northern Sea Route), will have to be fulfilled with existing vessels in the Pacific region, since the introduction of new large cruisers and destroyers (perhaps even a new aircraft carrier) will in all likelihood only happen past 2025 — if at all. Also, the Ukraine crisis has put a temporary hold on the delivery of Mistral-class amphibious assault ships, two of which were to be delivered to the Pacific Fleet over the next two years. As of February 2015, the Pacific Fleet consists of 73 vessels of all kinds, including 23 submarines and 50 surface warships. In detail, Russia’s Far Eastern submarine force comprises five nuclear-powered ballistic missile submarines, five nuclear-powered guided missile submarines, five nuclear-powered attack submarines, and eight conventional attack submarines. The surface fleet includes one heavy nuclear-powered guided missile cruiser, one guided missile cruiser, four anti-submarine warfare (ASW) ships, three guided missile destroyers, eight small ASW ships, four guided missile corvettes, 11 guided missile boats, two seagoing minesweepers, seven base minesweepers, four landing ships, and five landing crafts. Dmitry Gorenburg summarizes Russia’s naval aspirations: “[I]t is clear that while the Russian Navy has resigned itself to focus on strategic deterrence and coastal defense missions in the short and medium terms, it still has ambitions of restoring its blue water navy in the long term.” Thus, we should not underestimate Russia’s gradual naval buildup, despite various delays and an uncertain financial future. However, the recent commissioning of Borei-class SSBNs, equipped with 16-20 RSM-56 Bulava ballistic missiles, each of which can carry 6-10 nuclear warheads — allegedly capable of penetrating U.S. missile defense systems — appear to run counter to this argument, and emphasizes the importance of maintaining a maritime second-strike capability in Russian naval doctrine. Next to holding a number of joint naval drills in the region (most notably with the Chinese Navy), the main task for the Pacific Fleet in 2015 will be to maintain complete control of the Northern Sea Route through the arctic (which requires the maintenance of a fleet of nuclear powered icebreakers – Russia is currently constructing three new such vessels), continue to safeguard Russian trade in the Pacific, further develop Russia’s naval presence on the Kuril Islands, and maintain a seaborne nuclear deterrent. “The Pacific Fleet is likely to become Russia’s largest fleet over the next decade in recognition of the region’s increasing geopolitical importance and the concentration of naval powers in the region,” Gorenburg emphasizes. However, in 2015 we will see very little change in Russia’s maritime posture in the region. How Many Ballistic Missile Submarines Will Russia Build? The head of the Russian Navy is considering increasing the number of SSBNs to be commissioned past 2020.